Limitations on Copying and Distribution. You may download or copy downloadable items displayed on the Service for personal, non-commercial use only, provided that You maintain and display all copyright, trademark and other notices contained therein. Non-Solicitation. You may not post or transmit through the Service any material which contains advertising or any solicitation with respect to products or services. Limitations on Reverse Engineering and Modification. You may not reverse engineer, decompile, disassemble, modify or create works derivative of the Service or any materials accessed through the Service. Proprietary Notices. You may not remove any proprietary notices, including copyright and trademark notices, or labels from the Service on any materials accessed through the Service. Compliance with Applicable Law. You are solely responsible for ensuring Your use of the Service is in compliance with all applicable foreign, federal, state and local laws, rules and regulations. USER OBLIGATIONS. By downloading, accessing, or using the Service in order to view information and materials or submit Material (as defined below) of any kind, You represent that You: (i) are at least eighteen (18) years of age, or between thirteen (13) and seventeen (17) years of age and using the Service with parental or legal guardian consent and supervision; (ii) are registered to the extent required, and have not been previously restricted, suspended or terminated by Red Cross; and (iii) are not using another authorized user’s account without that person’s permission. LINKS TO OTHER SERVICES. Red Cross may provide links, in its sole discretion, to other services. Red Cross is not responsible for the availability of these outside resources or their contents. Red Cross expressly disclaims any responsibility for the content, materials, accuracy of information and/or the quality of the products or services provided by, available through, or advertised on these third-party services, or the products or services provided by any third party. LINKS TO THIS SERVICE. You may link to the Service provided that You do so in a way that indicates that the link is direct to an American Red Cross Service and is fair and not misleading. You may not integrate or make use of all or part of the Service in ways that would confuse or mislead visitors as to the nature and origin of the Service’s content. WARRANTY DISCLAIMER. YOU EXPRESSLY AGREE THAT USE OF THE SERVICE IS AT YOUR SOLE RISK AND YOU ASSUME ALL RISK. THE SERVICE AND ITS INFORMATION, CONTENT, MATERIALS, PRODUCTS, SERVICES, AND USER CONTENT IS PROVIDED ON AN “AS AVAILABLE,” “AS IS” BASIS. TO THE MAXIMUM EXTENT PERMITTED BY LAW, RED CROSS AND ITS LICENSORS DISCLAIM ALL WARRANTIES WITH RESPECT TO THE SERVICE, INCLUDING, BUT NOT LIMITED TO, THE IMPLIED WARRANTIES OF NON-INFRINGEMENT, TITLE, MERCHANTABILITY, QUIET ENJOYMENT, QUALITY OF INFORMATION, FITNESS FOR A PARTICULAR PURPOSE, AND RESULTS THAT MAY BE OBTAINED FROM USE OF THE SERVICE. RED CROSS DOES NOT ENDORSE, RECOMMEND, OR MAKE ANY WARRANTIES AS TO THE CONTENT, INFORMATION, MATERIALS, USER MATERIALS, FEATURES, SERVICES, PRODUCTS, OPINIONS, OR STATEMENTS AVAILABLE ON OR THROUGH THE SERVICE OR THROUGH LINKS ON THE SERVICE. RED CROSS DOES NOT WARRANT THAT THE SERVICE WILL MEET YOUR REQUIREMENTS, OR THAT THE OPERATION OF THE SERVICE WILL BE UNINTERRUPTED OR ERROR-FREE, OR THAT DEFECTS IN THE SERVICE WILL BE CORRECTED. YOU SPECIFICALLY ACKNOWLEDGE THAT RED CROSS IS NOT LIABLE FOR THE DEFAMATORY, OFFENSIVE OR ILLEGAL CONDUCT OF OTHER USERS OR THIRD-PARTIES AND THAT THE RISK OF INJURY FROM THE FOREGOING RESTS ENTIRELY WITH YOU. OTHER DISCLAIMERS. CONTENT ON THE SERVICE IS NOT INTENDED TO SUBSTITUTE FOR PROFESSIONAL ADVICE OF ANY KIND. IN PARTICULAR, NOTHING CONTAINED ON THE SERVICE IS OR SHOULD BE CONSIDERED, OR USED AS A SUBSTITUTE FOR, MEDICAL ADVICE, DIAGNOSIS OR TREATMENT. ALWAYS SEEK THE ADVICE OF YOUR PHYSICIAN OR OTHER QUALIFIED HEALTH PROVIDER WITH ANY QUESTIONS YOU MAY HAVE REGARDING PERSONAL HEALTH OR MEDICAL CONDITIONS. NEVER DISREGARD OR AVOID PROFESSIONAL MEDICAL ADVICE OR DELAY IN SEEKING IT BECAUSE OF SOMETHING YOU HAVE READ, HEARD OR SEEN ON THE SERVICE. RED CROSS DOES NOT REPRESENT OR WARRANT THAT PRODUCT INFORMATION ON THE SERVICE IS ACCURATE OR COMPLETE, AS INFORMATION MAY BE PROVIDED BY PRODUCT MANUFACTURERS OR SUPPLIERS, AND ON OCCASION MANUFACTURERS MAY MODIFY THEIR PRODUCTS AND UPDATE THEIR LABELS. WE RECOMMEND THAT YOU DO NOT RELY SOLELY ON THE INFORMATION PRESENTED ON THE SERVICE AND THAT YOU CONSULT THE PRODUCT’S LABEL OR CONTACT THE MANUFACTURER DIRECTLY IF YOU HAVE A SPECIFIC CONCERN OR QUESTION ABOUT A PRODUCT. ONLINE SHOPPING. All product and service descriptions and depictions are approximate and are provided for convenience purposes only. The inclusion of any products or services on the Service does not imply or warrant that such products or services will be available. 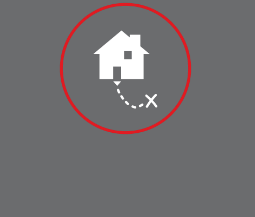 In the event a product or service available on or through the Service is listed at an incorrect price or with incorrect information, Red Cross will have the right to refuse or cancel any orders placed for the product or service listed at the incorrect price, whether due to a typographical error, an error in information received from Red Cross' suppliers or providers, or otherwise. Your receipt of an electronic or other form of order confirmation neither signifies Red Cross’ acceptance of Your order, nor constitutes confirmation of Red Cross’ offer to sell. 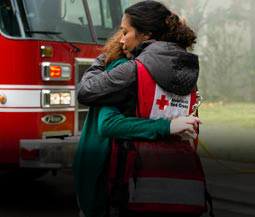 Red Cross reserves the right at any time after receipt of Your order to accept or decline Your order for any reason. Red Cross may charge and withhold the applicable sales tax for orders, otherwise. You are solely responsible for all sales or other taxes, on orders shipped to You. If You wish to purchase any product made available through the Service, You may be asked to supply certain information relevant to such transaction including, without limitation, Your credit card number, its expiration date and security code, the billing address, and any shipping information. YOU REPRESENT AND WARRANT THAT YOU HAVE THE LEGAL RIGHT TO USE ANY CREDIT CARD(S) OR OTHER PAYMENT METHOD(S) UTILIZED IN CONNECTION WITH ANY TRANSACTION. By submitting such credit card or payment information, You grant to the Red Cross the right to provide such information to third parties for purposes of facilitating the completion of any transactions initiated by You or on Your behalf. Verification of information may be required prior to the acknowledgment or completion of any such transaction. It is Your responsibility to ascertain and obey all applicable local, state, federal, and international laws (including minimum age requirements) in regard to the receipt, possession, use, and sale of any product or service purchased from the Service. By placing an order, You represent that the products and services ordered will be used only in a lawful manner pursuant to any additional terms that may accompany them. Except as otherwise set forth herein, the risk of loss for and title to products or services purchased on the Service passes to You upon electronic transmission to the recipient or delivery to the carrier, as applicable. Business customers must submit a Credit Approval and Purchase Order form. Customers who are approved for credit extensions will receive an invoice following order shipment. Invoices are produced four (4) times monthly so there may be more than one (1) order on an invoice for the same bill-to address and the same or different ship-to addresses. We do not send invoices to addresses outside the United States and its territories. You may opt into Electronic Invoice Delivery for the established account. You will provide a valid email address on your Credit Approval and Purchase Order form. You will receive a link in the email to a PDF copy of your invoice. The link expires thirty (30) days from receipt of the email. You confirm that you are authorized to opt in to electronic invoice delivery of American Red Cross Store invoice(s) on behalf of You or Your organization to one (1) designated email address. You understand that You or Your organization will not receive an invoice via postal mail after You have been successfully enrolled in electronic delivery. 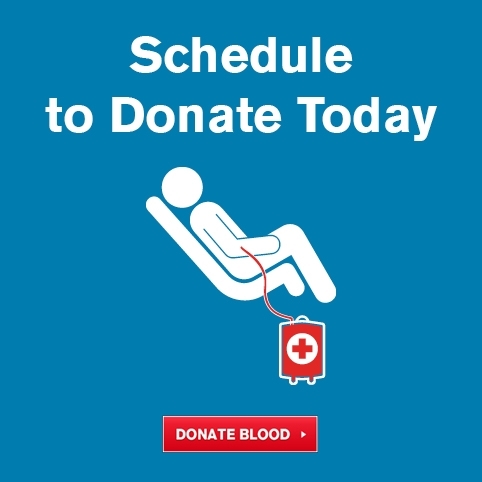 If the billing contact or invoice delivery email address changes for Your account, You will update that information by contacting Billing Support at billing@redcross.org. You or Your organization is responsible for payment regardless of receipt of the electronic invoice. If invoices are not received as expected, You understand that it is Your responsibility to contact Billing Support. Standard Payment Terms are NET 30. Payment in full is due on the date stated on the invoice. Payment of invoice is accepted by credit card or check. Past due amounts shall be subject to collections actions and may be referred to an external collections agency which will result in the termination of Your invoicing privileges. Credit card payment will be required if invoicing privileges are suspended or terminated. For questions or concerns about Your invoice, please email billing@redcross.org, or call the number listed on the invoice or the Service’s FAQ webpage, as applicable. DIGITAL MILLENNIUM COPYRIGHT ACT (“DMCA”) NOTICE. Red Cross is committed to complying with copyright and related laws, and requires all users of the Service to comply with these laws. Accordingly, You may not store any material or content or use or disseminate any material or content though the Service in any manner that constitutes an infringement of third party intellectual property rights, including rights granted by copyright law. Owners of copyrighted works who believe that their rights under copyright law have been infringed may take advantage of certain provisions of the Digital Millennium Copyright Act of 1998 (the “DMCA”) to report alleged infringements. You may not post, modify, distribute, or reproduce in any way any copyrighted material, trademarks, or other proprietary information belonging to others without obtaining the prior written consent of the owner of such proprietary rights. It is the policy of Red Cross to terminate use privileges of any user who repeatedly infringes the copyright rights of others upon receipt of proper notification to Red Cross by the copyright owner or the copyright owner’s legal agent. If You feel that a posted message is objectionable or infringing, Red Cross encourages You to contact Red Cross immediately. Upon Red Cross’ receipt of a proper written notice of claimed infringement under the DMCA, Red Cross will respond expeditiously to remove, or disable access to, the material claimed to be infringing and will follow all other relevant procedures specified in the DMCA with regard to the claimed infringement. The designated agent of Red Cross (i.e., the proper party) to whom You should address such notice is listed below. INTERNATIONAL USERS. While all Services are controlled and operated within the United States, this publication may be distributed internationally and may contain references to The American National Red Cross, the International Committee of the Red Cross (ICRC), the International Federation of Red Cross and Red Crescent Societies, and other Red Cross or Red Crescent Society services, products, and programs that are not in Your country. These references do not imply that The American National Red Cross, the ICRC, or other Red Cross and Red Crescent Societies intend to announce or provide the programs, products, or services in Your country. All questions about the International Committee of the Red Cross, Red Cross or Red Crescent activities in Your country should be directed to the Red Cross or Red Crescent Society in Your country. Red Cross makes no representation that content, materials or products available on or through the Service are appropriate or available for use outside of the United States. If You access or use the Service from a location outside the United States, You are responsible for compliance with applicable laws, including local laws regarding online conduct and content and product use, local national Red Cross society rules and policies, and U.S. export laws and regulations. INDEMNIFICATION. You agree to indemnify, defend and hold Red Cross and its affiliates and its and their respective governors, directors, officers, employees, volunteers, and agents harmless from and against any and all claims, actions, demands, damages, costs, liabilities, losses and expenses (including reasonable attorneys’ fees and costs) arising out of Your use of the Service. TRADEMARK INFORMATION. The Red Cross emblem and American Red Cross name and logo are federally protected and registered marks of The American National Red Cross and protected under United States Code, Title 18, Section 706. All other trademarks displayed on this Service or through links to other services are the property of the respective trademark owners.